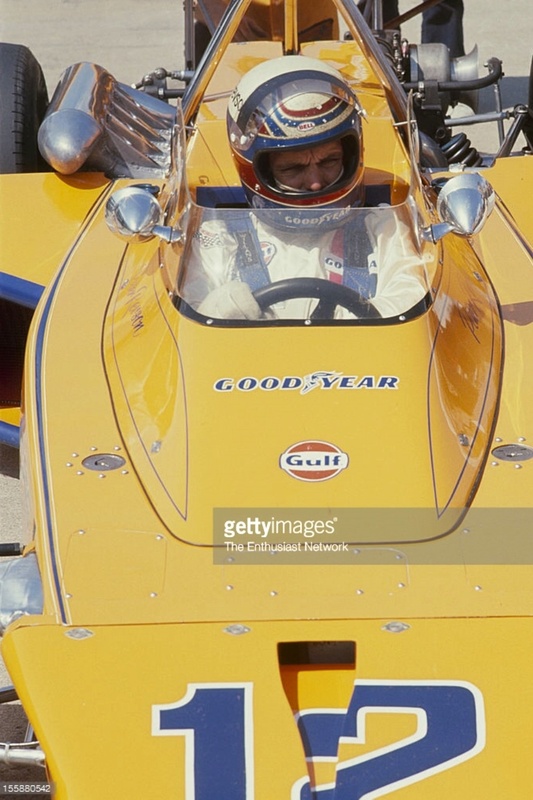 Chris qualified the car well in 3rd, one slot in front of Jackie Stewart in Ken Tyrrell’s similar, albeit Dunlop, rather than Firestone shod car. 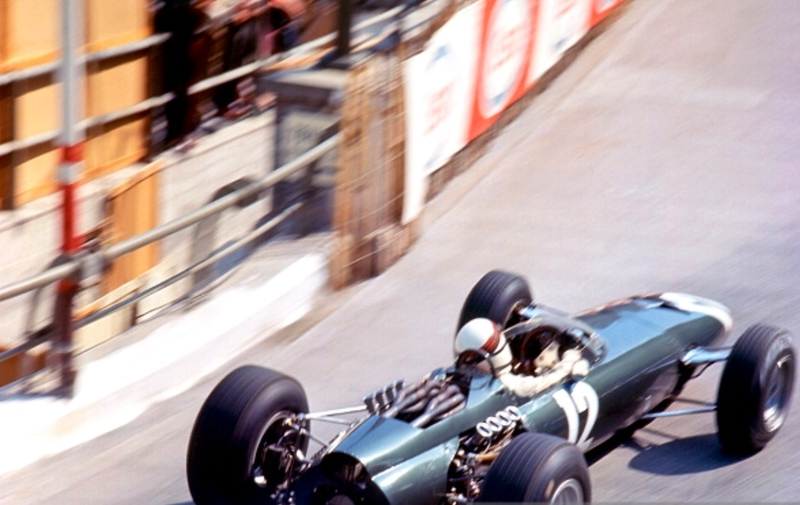 Chris raced the car into 2nd behind Rindt’s winning Lotus 72 and in front of Brabham’s Brabham BT33, all cars Ford Cosworth powered. For many of us, it’s probably difficult to imagine life in the immediate post-war with the hardships placed on society by the hostilities – dependant upon our age of course. Certainly many of our parents and grand-parents had a frugal existence for at least the first 10 years after WW2 ended. A family with a car was an exception, not the rule. 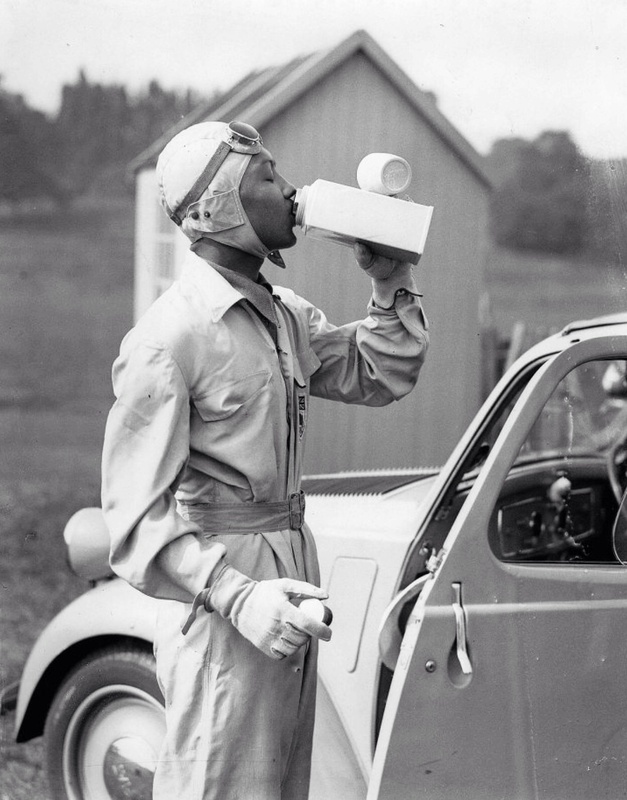 The point of having a car made even more difficult with fuel rationing. 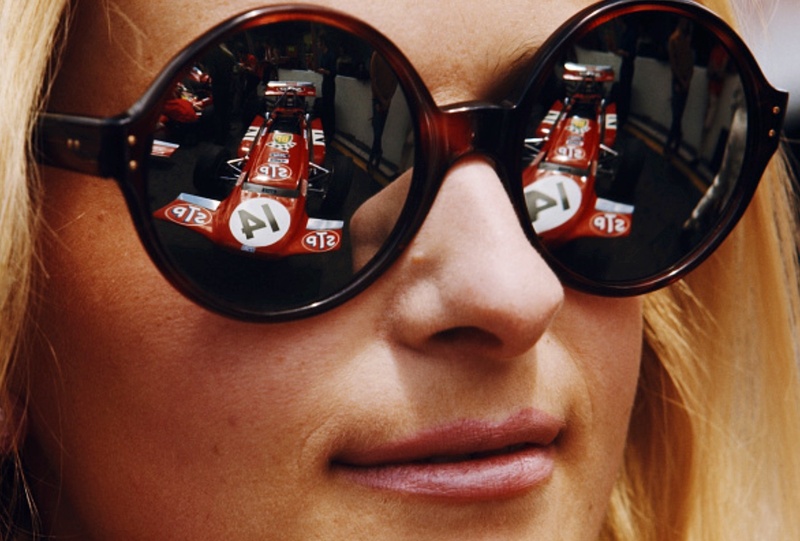 So to be involved in motor sport wasn’t often on too many people’s minds, but it was on 2 young enthusiasts, one of whom could tap into his dad’s vast experience. It of course, also helped they had the right connections. But things could have been a lot different if the original intent of building a ‘mud plugging’ Trials special had eventuated. 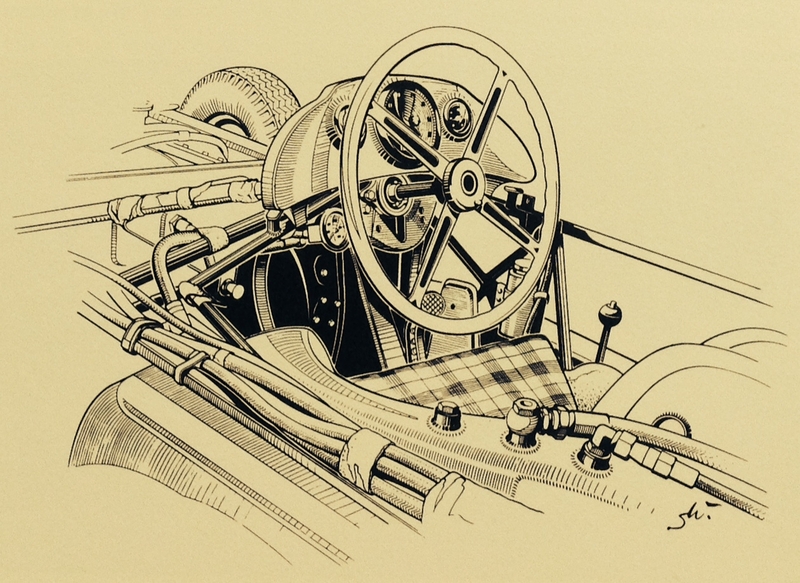 To indulge in such motor sporting pleasures in early post-war a few quid no doubt helped. Eric Brandon, then 25, with access to his family’s Halsey’s Electrical business could help there. 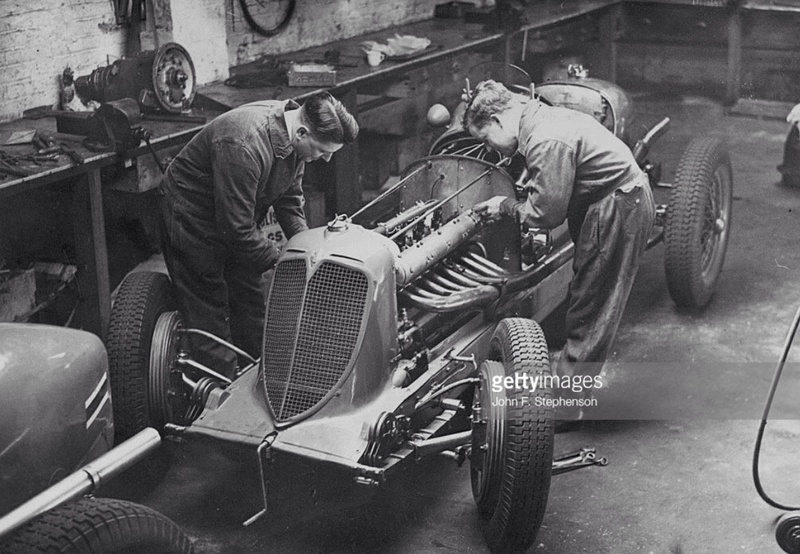 He was almost 3 years to the day older than his toolmaker mate, John Cooper, 22, and his experienced 52yo dad, Charles with their Surbiton Garage facilities at their disposal. But after hours! This meant mud plugging was quickly scratched from the agenda when Cooper junior was exposed to what would become ‘The 500 Club’ movement. 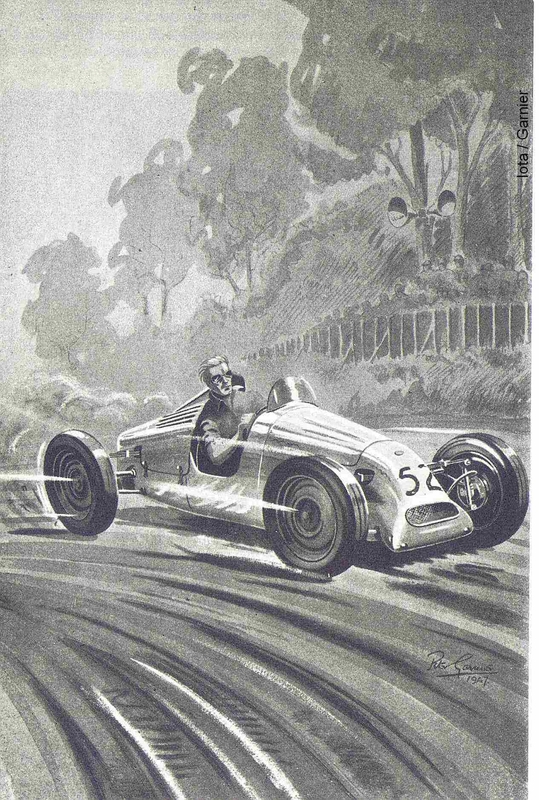 Having only come into the thoughts of a group of Bristol Aeroplane Co Motor Sports Club enthusiasts nearing the end of 1945 and slightly later the concept gained publicity in the pages of 3rd April 1946 The Motor. Go to British Pathe to see a great film showing John Cooper being a rascal around Surbiton in Cooper T2. Seventy years ago in 1946, circuit racing was in limbo and needing to find a proper home again. There had been an event in North London’s Cockfosters estate, prior to its full development on 14th July 1945. But the likes of Goodwood, Silverstone, et al were still pipe dreams for enterprising Motor Clubs to demob from the War Ministry. 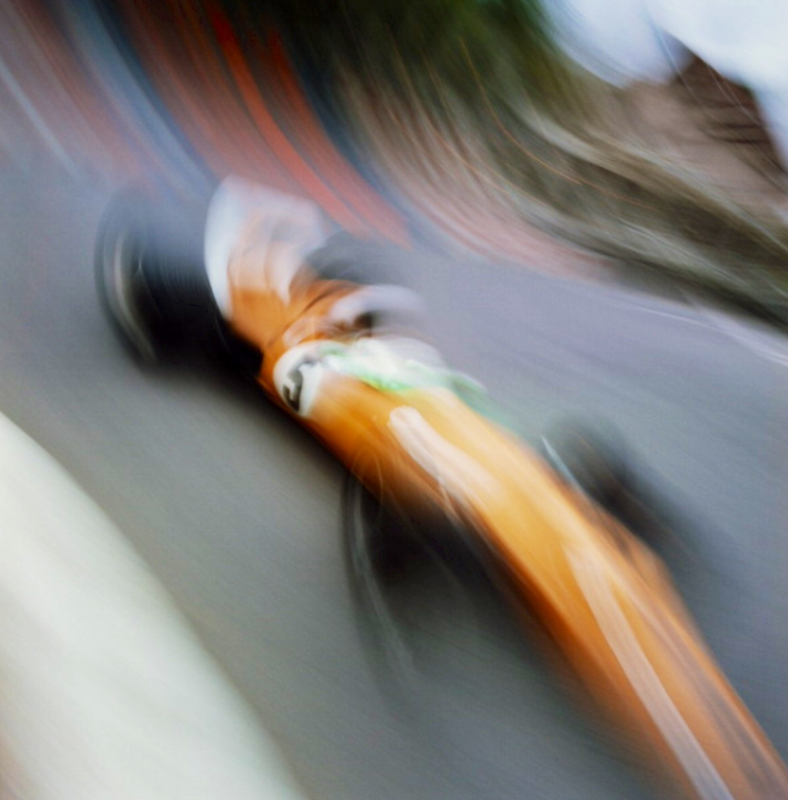 Until such, Hillclimbing and Sprints, or Speed Trials as they tended to be called had to suffice. So the ‘Coopers got coopering’ and between them turned out their interpretation of a small 500cc racing car after the odd favour was forthcoming. Not least getting ones hands on a Speedway JAP engine and rear end damaged Fiat Topolinos to graft the salvaged front end/suspension from the baby Fiats together. 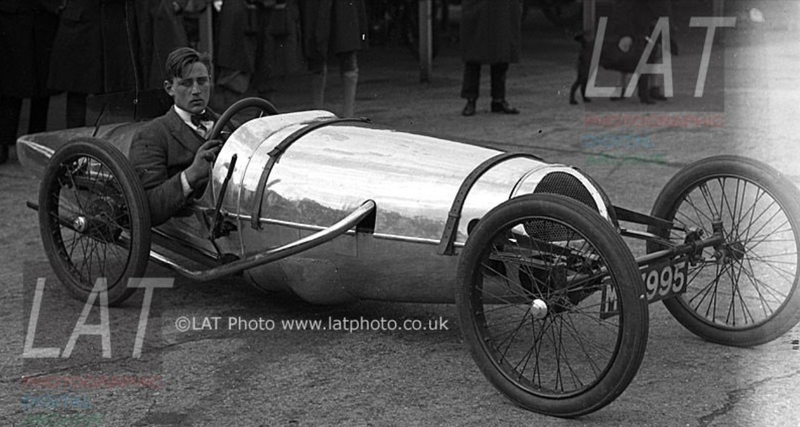 One of which was supplied by a man, who would also build racing cars, John Heath of HWM. 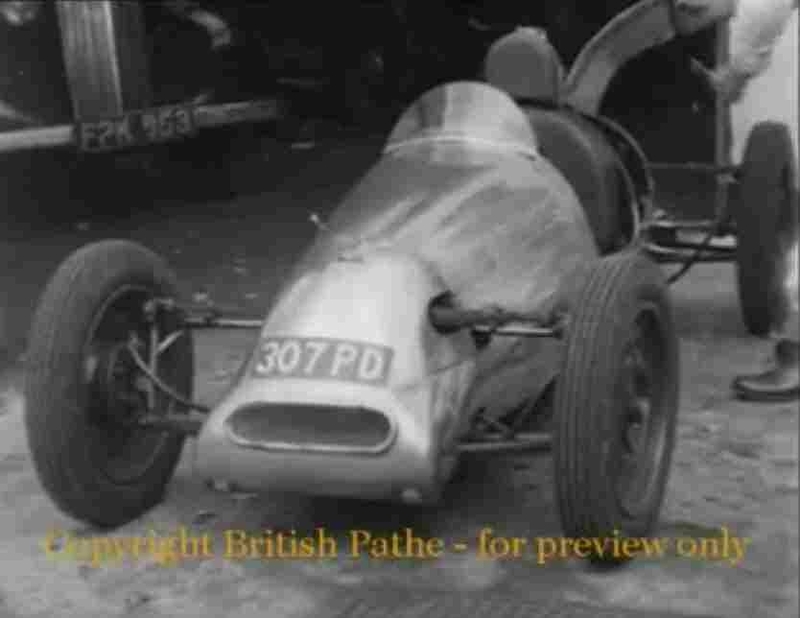 The 5 week effort to build the prototype of what would be the two early JAP motorcycle-engined Cooper specials saw Eric & John each have a birthday just prior to the shared competition debut of the new Cooper special at the 27th & 28th July 1946 Prescott Hillclimb. However, in the run up to the event (Friday 26th) that rascal John, with Cooper Garages’ trade plate ‘307 PD’ took the prototype for a spin and caused a bit of a racket around Surbiton. Even so, it wasn’t enough to stop the Cooper special’s Prescott debut going without hiccups, nor another that would follow. 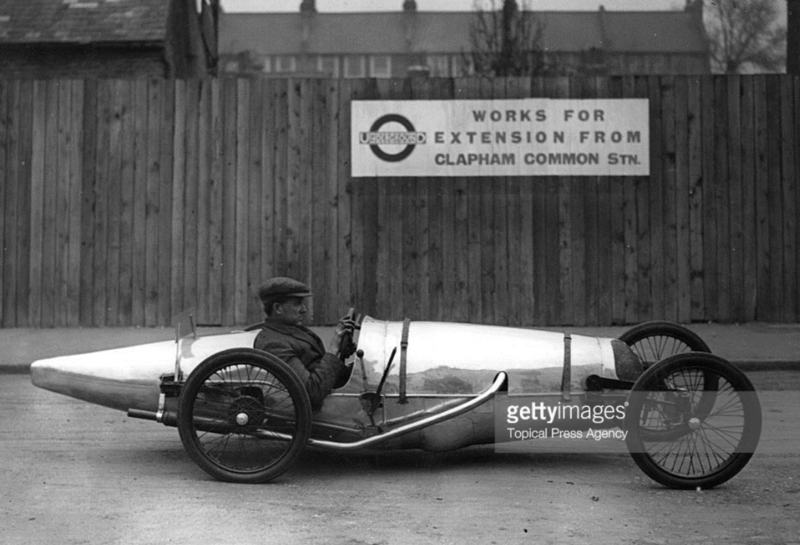 Just 500cc of J A Prestwich, Charles Cooper-breathed upon ‘Speedway’ JAP engine produced enough torque to set forth a series of engine mount failures and head scratching to solve it from continuing to happen. Also at the July Prescott meeting, John fluffed a gearchange and bent a valve. They were however, young, keen and although not the first within the ‘The 500 Club’ movement to create their own cars, one of the very earliest to have a car running. Just two 500s built and ran before the Cooper. In the process meaning they were about to get noticed and soon there was plans afoot to help make motor sport easier to be a part of. Essentially John and Eric’s 1946 events with the Cooper special consist of 4 events. That 1st Prescott, followed by another 31st August event with further engine mounting issues as previously mentioned. 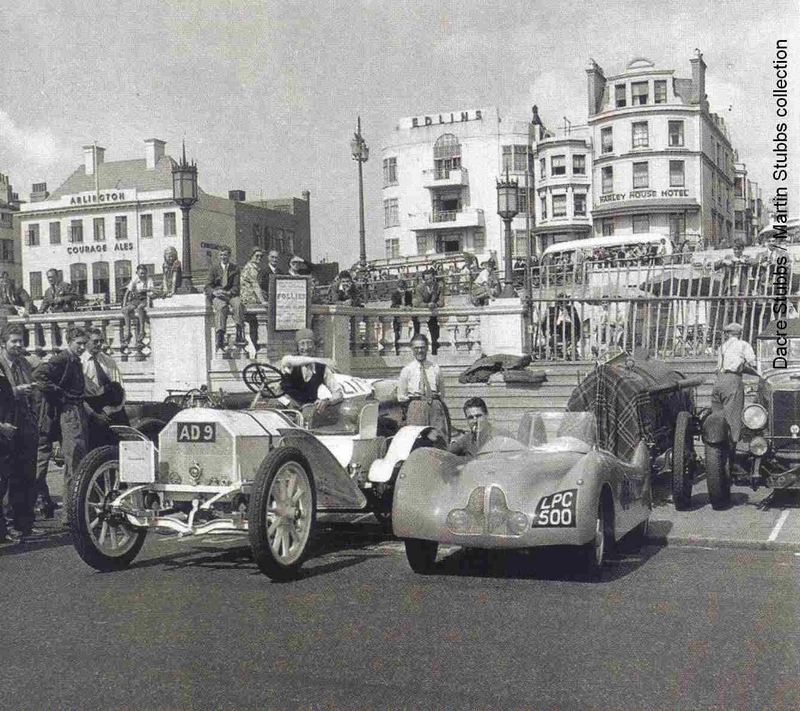 Their 3rd event was the 7th September Brighton Speed Trials on Madeira Drive. Early that morning bringing on another of John’s Kingston by-pass tests! 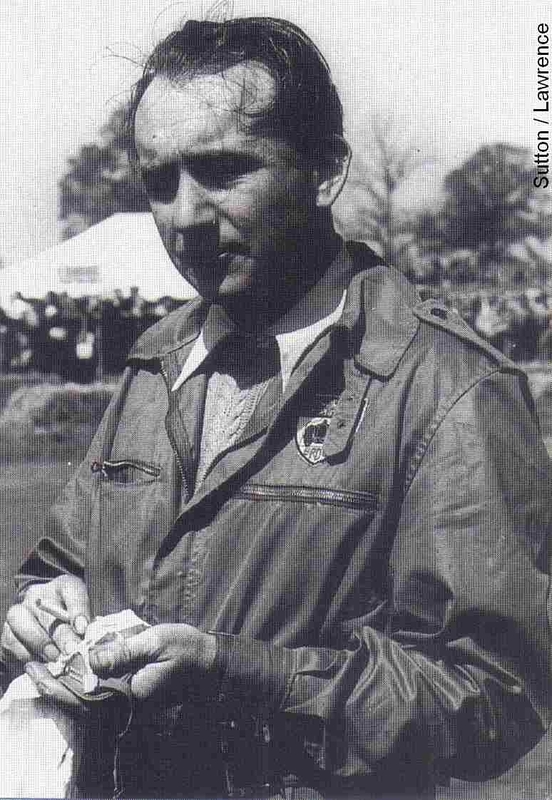 As he stated in an April 47 IOTA feature “It was a joy to be alive though the occupants of the houses probably thought otherwise, and I believe blamed the “Hellish” racket on to Jeff Taylor whose works are situated nearby and who was also racing at Brighton that day.” Jeff was in fact Geoffrey Taylor, who built Alta racing cars in the area and getting the blame that time. But no doubt the locals would soon learn who the real culprits were as they spotted Cooper racing cars on their streets and by-ways in the years to come! Brighton showed promise with their efforts to iron out the bugs in the Cooper special when both John and Eric ran entry #29 Cooper in two classes. 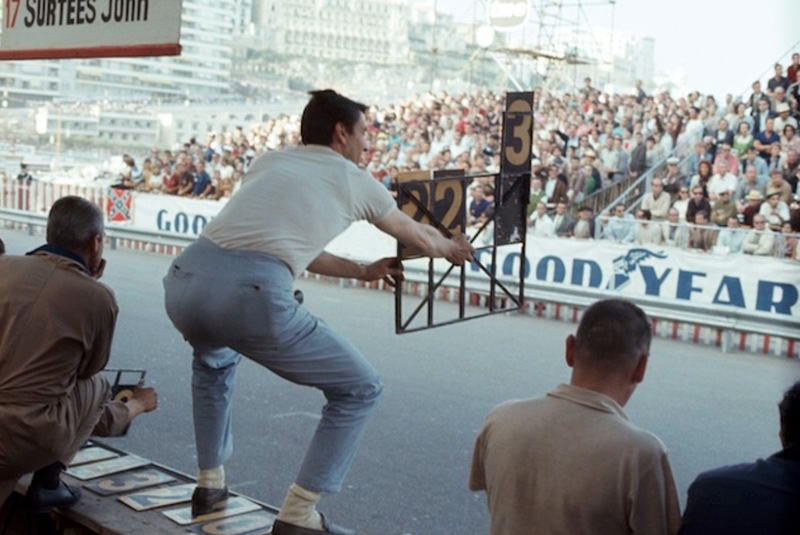 John in the ‘Racing Cars up to 850cc’ – that he duly won with a 35.81 second run over the 1 kilometre course. Eric running the ‘Racing Cars up to 1100cc’ for a 4th place in class. Amongst their fellow competitors were Alec Issigonis and George Dowson with their Lightweight special and Marcus Chambers running his Austin. A name or two, part of BMC and Mini folklore. ‘Issi’ came second to Cooper and Dowson won the 1100 class. The fourth 1946 meeting for John and Eric was the 15th September, West Court Speed Trails – run by the Hants & Berks Motor Club at Finchhampstead. That day dawned with hostile reception from Cooper senior when awoken by Eric breaking a manhole cover in the process of loading up the car below Charles Surbiton Garage flat. Despite his threats of damage to the Cooper special, West Court became a successful day for John & Eric. 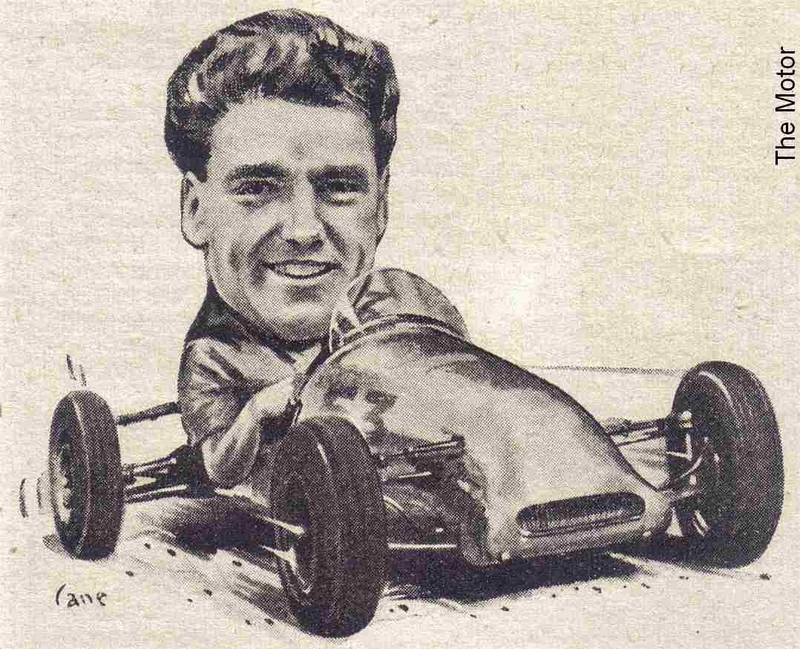 The full entry list reads as a who’s who of British motor sport of the day and into its future – Sydney Allard, Roy Salvadori, Daniel Richmond and Ken Wharton to name a select few. With 13 entrants in Class 5 (Racing Cars up to 1100cc) and what appear to be 10 starters, John and Eric did themselves proud with the following times. Giving a few other drivers and larger class cars a fright, because they too could only muster 24 point something second passes at best. After this, enthusiasm down Surbiton way was on a high. So by the end of 1946, the 500 Club was gaining popularity. In ‘The Sporting Side’ feature of the 8th January 1947 The Motor, there’s a piece titled ‘The 500 Virus’ stating the Club already has a membership of 247 with 67 cars under construction. 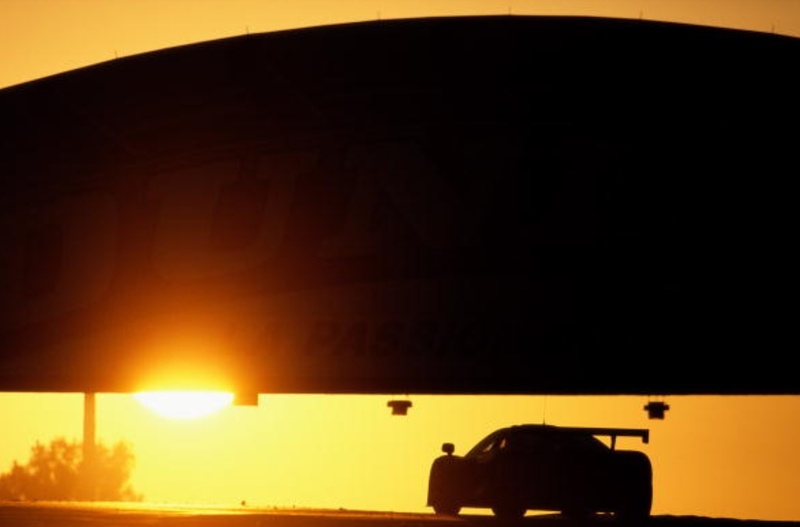 Garnered so successfully because of the club’s ethos to help amateur racing car builders get started. 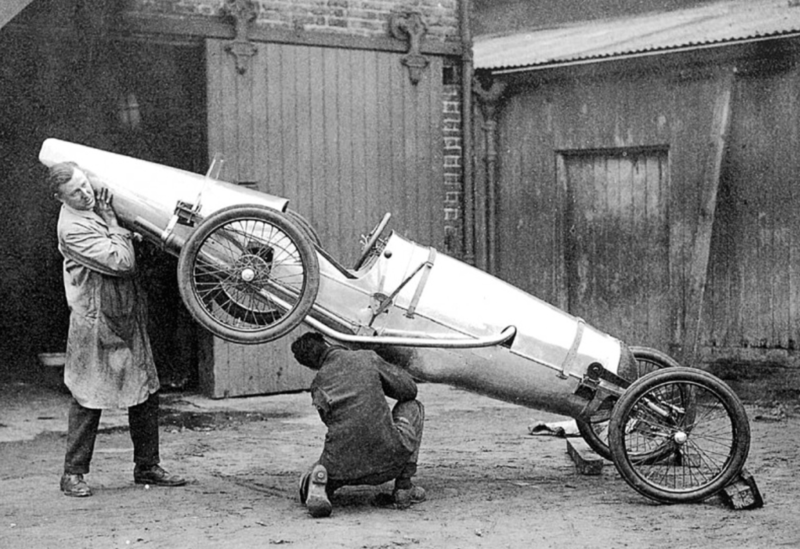 Showing some of his astute ways, Charles Cooper knew that not everybody had the wherewithal to build a racing car. So Cooper’s made mention in early April 1947 of their intent to start production to ‘make hay’ of this 500 virus. At the time they were in the process of completing a small streamlined sports car with a Triumph motorcycle engine and Eric Brandon’s own slightly tweaked second version of the prototype Cooper special. A couple of the ever so slightly visible differences between each car being the nose/grille treatment, slightly different in shape to #1 and more sloped placement of the grille. While on #1’s there is 2 spaced dimples under the grille area and on its RHS cockpit area there’s a lever poking through the bodywork and Eric’s car doesn’t feature this. The head fairing on each of the engine covers differ too, on #1 it looks like an afterthought and on Eric’s it’s made to be there, plus dimensionally smaller. There was also a lone inch added to the wheelbase of Eric’s car to accommodate his frame a little easier. 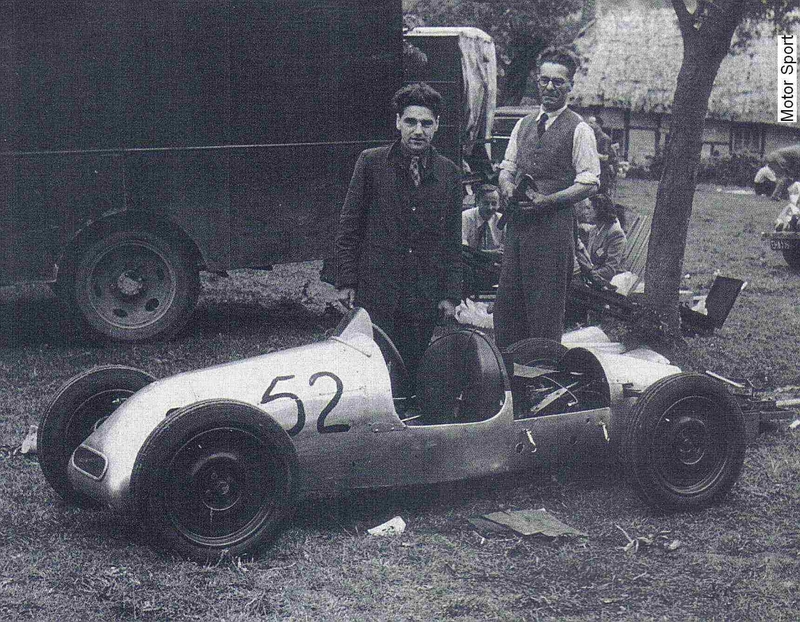 As best I can find this car made a brief appearance with #1 on the Saturday of the 2 day, 26th – 27th April 1947 Prescott practice meeting and there’s photographic evidence of them together at the 11th May 1947 Prescott meeting. Around that time there was also a bit of publicity for the Cooper-Triumph sports car in the pages of 23rd April 1947 issue of The Motor and a month later in The Autocar. Events-wise 1947 brought forth more variety of events, seeing John and Eric criss-crossing England. But in the main that’s not what this feature is about. 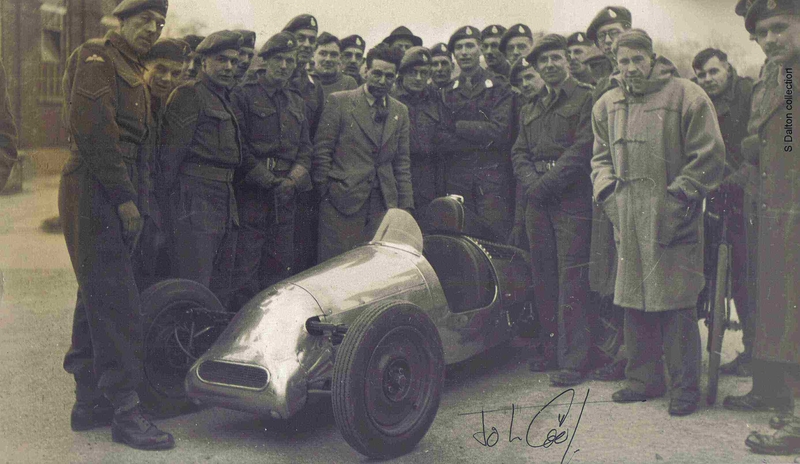 It’s just a reminder of the efforts those 3 men and their little ‘childs car’ – that some press christened it at the time – played 70 years ago in creating what many Cooper racing car and Mini Cooper enthusiasts enjoy to this day. We know who got the last laugh! Retrospectively, in Cooper model ‘Type-number’ code, the Cooper special prototype became T2, Brandon’s T3 and the Cooper-Triumph T4. With the T1 title entrusted to the Cooper-Austin 7 special of 1935 – John’s 12th birthday present. Bira is standing beside his Fiat Topolino, these cars in some ways the ‘Cooper S’ of their day. The Franco Fessia designed car was noted for its safe road-holding, good ride and willing performance. The ‘mouse’ had hydraulic brakes, independent front suspension and a synchro 4 speed ‘box. In an article about the cars in MotorSport’s November 1995 issue Bill Boddy noted that they were the ‘in-thing’, the cars competition history included entries and finishers at Le Mans in 1937-9 and a class win in the 980 Mile Tobruk-Tripoli race which replaced the Mille Miglia in 1939. Post-War the cars components were a feature of the Cooper 500 and thirteen other Italian racing cars. 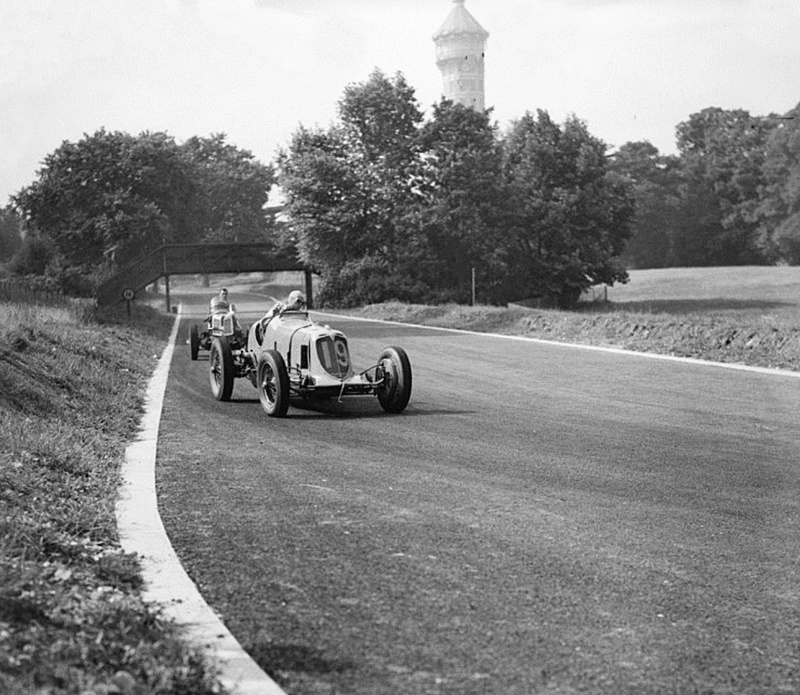 Bira raced his Maserati 8CM in the Cup Race, having rebuilt it after its International Trophy race blow up, Lord Austins cars were driven by Hadley and Kaye Petre. 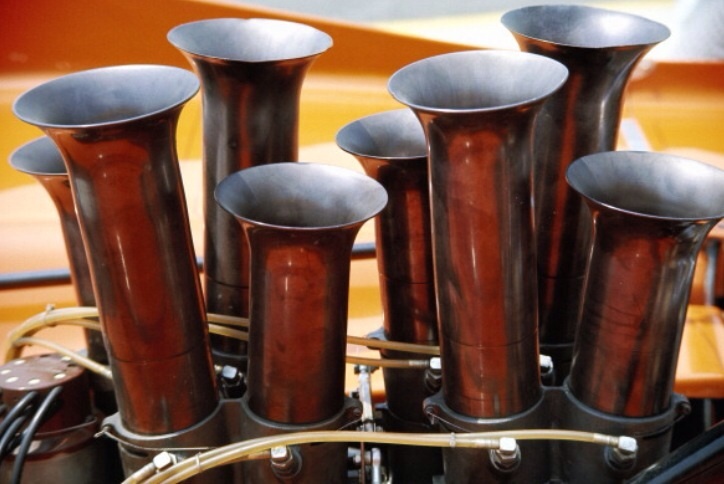 Hanson and Aitken raced 1.5 litre Masers and Connell a 1.5 litre ERA. ‘Crack-runners’ (rather a different meaning that phrase these days!) were non starters included the brothers Dobson ERA and Maserati, Tony Rolt’s Triumph and Peter Whitehaeds ERA. The race was a handicap Bira giving away 75 seconds to the 1.1 litre cars, and 25 seconds to the 1101-2500cc cars. Hadleys Austin lead away with Bira eventually away with lots of wheelspin and by lap 15 all cars were on the same lap. Bira was up to 2nd and within striking distance by the last lap but he ‘got into a slide at Ramp Bend’ but despite restarting finished 44 seconds behind Hadleys Austin 744cc, Reg Parnell was 3rd in an MG Magnette 1087cc and P Maclure 4th in a Riley C 1486cc. 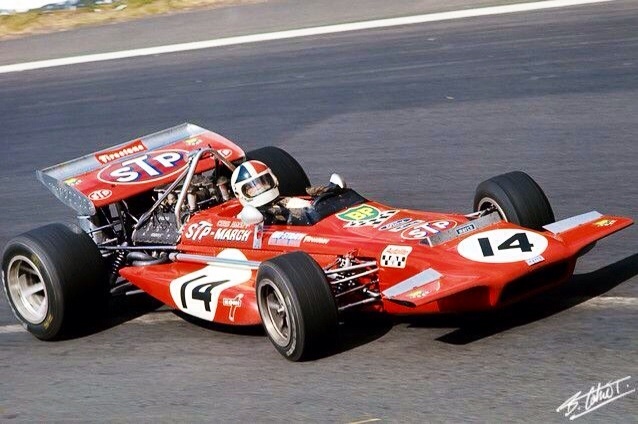 Surtees in his big Ferrari 312, a new F1 car built to the 3 litre formula introduced that year leads Jackie Stewart in his light, nimble BRM P261, a 1.5 litre F1 car bored to around 2.1 litres and shortly to be victorious over ‘Big Johns’ heavy and not so powerful Ferrari. 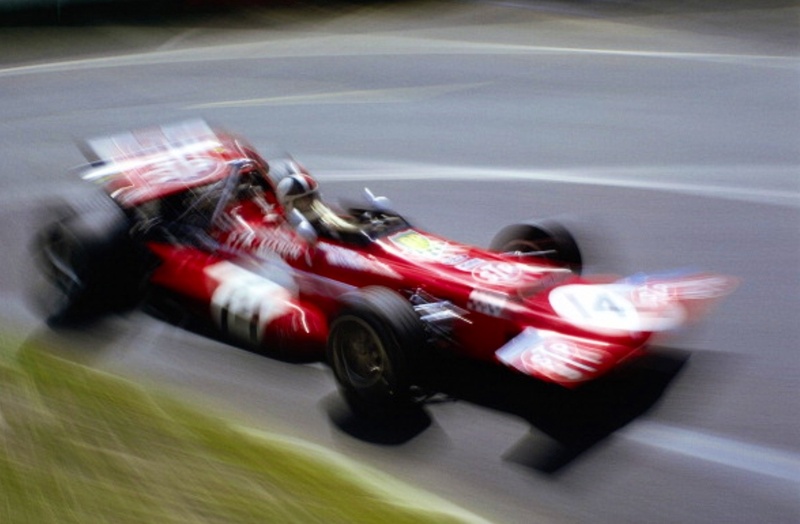 It may have been different if he had driven the light, nimble Ferrari Dino 246 allocated to teammate Bandini, but that was not to be and so the pressures mounted which lead to Surtees departure from the Scuderia shortly thereafter. And with it any chance Ferrari had of winning the title that year. Brabhams year of course. The cars ‘main advantages are it’s lightness and portability’ is the prosaic caption. My problem, one of the many!, is I struggle to finish projects, articles that is, I’ve started. I have owed Rod Wolfe the next chapter of our Repco Engine story for about 12 months. I get distracted by the lure of ‘something new’ like this Jappic shot I’ve just spotted. I see the picture, ‘go wow WTF’ and then can’t help myself with research and then jump from tangent to tangent, all of which takes loadsa time. In this case the Jappic led to Gwenda Stewart who drove it, she is an interesting character herself, then there is Montlhery as a record breaking venue and so it goes on. End of confession! 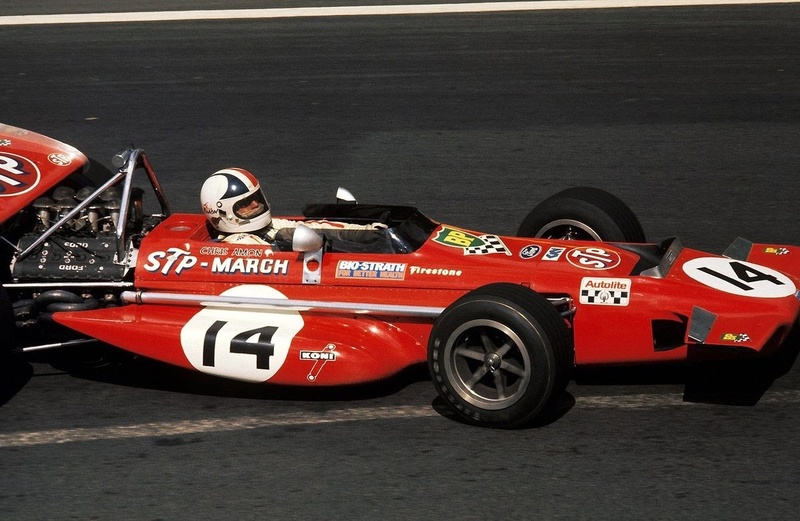 And yes Rodway, I need to complete my research of the ’67 Brabham Repco F1 year! Isn’t the Jappic the most amazing looking little creation, though!? Other worldly. It was a JAP engined cyclecar designed by motor-cycle racer HM Walters who intended it as a road racer for sale to special order, equipped with front brakes and fitted with either 350 or 500cc engines. When announced in early 1925 the car was to make its first appearance at the Brooklands Easter Meeting on 11-13 April. Bill Boddy in a short piece about the car in the January 1983 issue of ‘MotorSport’ said that photos ‘were circulated of the car in front of a K Type LGOC omnibus…presumably…taken somewhere near the premises of Jarvis & Co Wimbledon, who handled the Jappic and made its shapely body. The day previously the Jappic (Reg MH3995) had broken Class1 (up to 350cc) records at Brooklands at from 63 to over 70mph, so it might have been returning’ to Wimbledon. 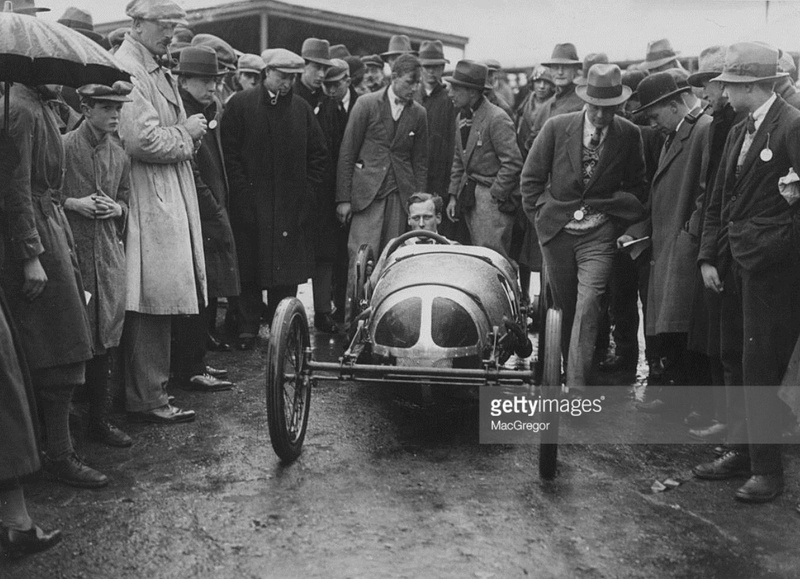 In fact it appears Jappic attacked the 350cc cycle-car record at the 6 June 1925 Brooklands meeting ‘races confined to drivers and motorcyclists who had never competed at the track before’ so the first photo above is probably either April or June 1925. May the lord above bless MotorSport. If something happened in the UK, from circa 1920 you can pretty much guess Boddy, Jenkinson or one of their merry band covered it ‘in period’, which is rolled god for schleppers like me. Give me a report written in period, or the recollections of a dude who was there at the time over a modern interpretation any day. 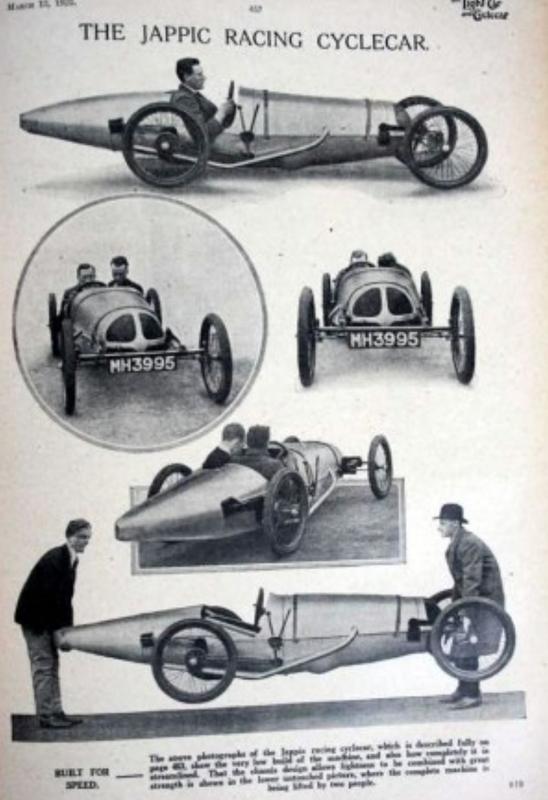 In a more comprehensive article in the August 2000 MotorSport issue Boddy wrote again about the Jappic; ‘Cyclecars and other small cars had been encouraged to race at Brooklands before and after WWI, but the former were mostly crude devices, if one excludes the Morgans and the GNs, which had engines of around 1100cc. Anyway, apart from the latter two, the Austin 7 rather ousted cyclecars from the Weybridge scene as the 1920s rolled along. 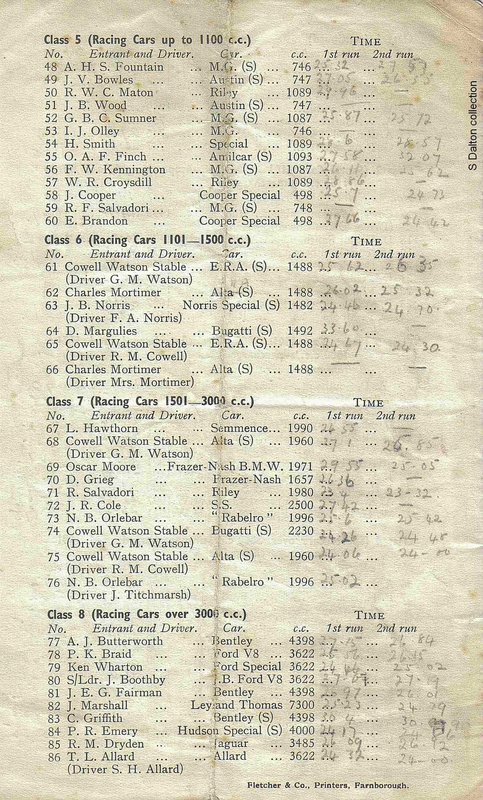 So when visitors to the Track opened their programmes on Easter Monday in 1925 and saw that a 344cc car had been entered for the second race they could be excused for being mildly surprised’. 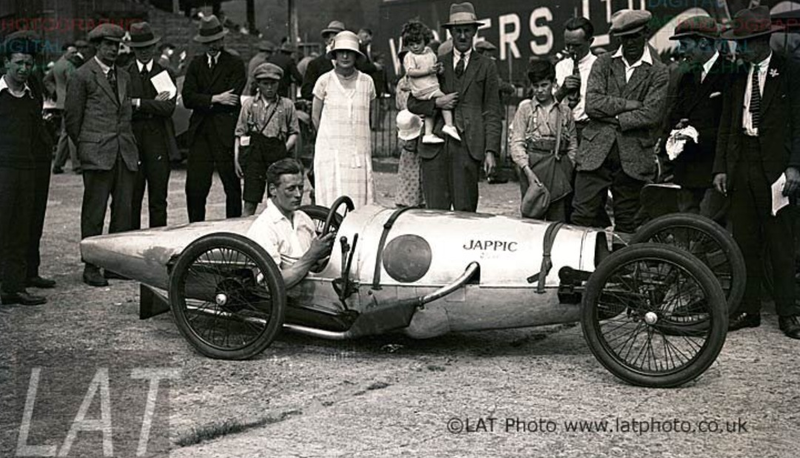 ‘The tiny racing car was called the Jappic, in deference to its JAP engine. It had been designed by motorcycle racer H M Walters, and built by the coachbuilders Jarvis of Wimbledon in London. The Jappic’s entrant was J V Prestwich of the JAP engine company’. ‘The baby was no lash-up. It was a proper miniature racer. The frame was of ash with 3/32in steel flitch plates and tubular cross-members, with another cross-member of T-section channel by the cockpit. The tubular front axle had forward-facing, underslung quarter-elliptic springs, the shock absorber anchorages adjusting the steering castor angle. At the back, reversed quarter-elliptic springs supported an axle of tubular transverse rods instead of a solid casing, this enabling the final-drive sprocket to be accommodated in a three-armed spider, roller and ball bearings being used for the driveshafts. Expanding rear wheel brakes sufficed, and the wire wheels were shod with minuscule 650×65 tyres. The engine was a two-port ohv 74x80mm single-cylinder JAP, driving by chain to a three-speed gearbox giving ratios of 6, 8 and 12:1, and fitted with a kick-starter. Another chain drove the back axle’. ‘The slender body was actually a two-seater, because production of Jappics at 1,150 pounds each was contemplated, though this was in the end never proceeded with. But this Jarvis-bodied 5cwt car, its hemispherical nose admitting air to the engine, looked every inch a racing car. The cramped cockpit had seats of sheet aluminium and the bottom half of the steering wheel was cut away to improve access. The driver sat at a head level of 2.1/2ft. Minute gear and brake levers were mounted externally, as were the two exhaust pipes’. 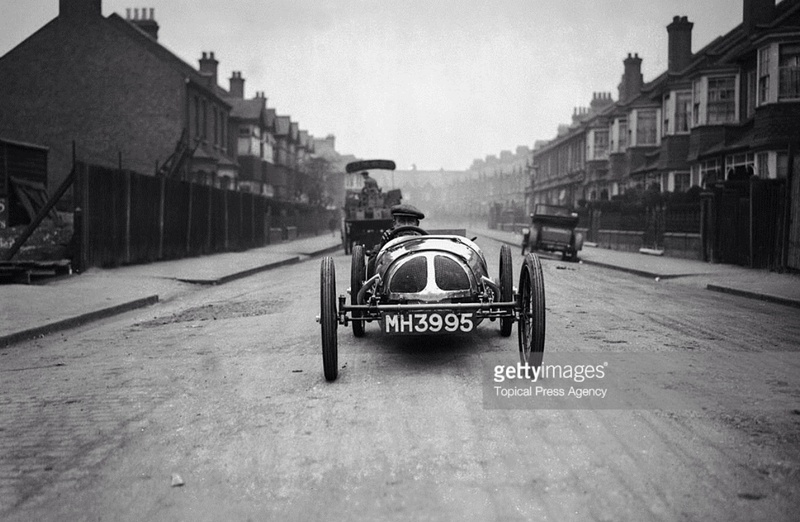 ‘On that long-ago Bank Holiday afternoon the Jappic was driven by Walters, who had l min 14sec start from the scratch cars, Victor Gillow’s sidevalve Riley and a 1914 GP Nazarro, with Reid Railton’s Amilcar, an entry probably prompted by Parry Thomas, leaving 1 sec after the tiny cyclecar, in the 5.3/4-mile race. Walters was not placed, but did a lap at 66.85mph, implying a top speed of some 70mph. Enough for one day. But the Jappic was out again at Whitsun, lapping at 68.03mph and just missing a third place. Walters then used it to break records, such as the Class J flying mile at 70.33mph. In 1926 Kaye Don, the famous Sunbeam driver, was not averse to driving cyclecars, attempting records with the Avon-JAP and the Jappic, the latter now with a 495cc JAP engine, which gave Don some Class I records of up to 10 miles, at around 65mph. After which Mrs Gwenda Stewart, of Derby-Miller fame, took it over, changing the mite’s identity to HS (Hawkes-Stewart) and refitting the 344cc engine. 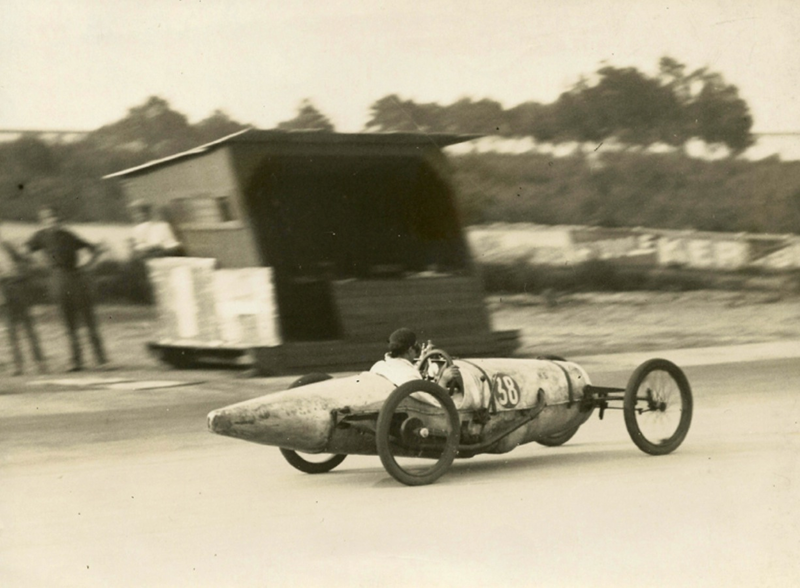 At Montlhery in 1928 she set the Class J 10-mile record to 70.95mph. Alas, in the garage fire at that circuit in 1932 the HS was completely destroyed’. For ‘Facebookers’ there is a fascinating, ongoing diary by Adrian of his progress in recreating the car, its a ripper, with loads of information, just key ‘Jappic recreation’ into the FB search engine and ‘like’ in the usual way. I’m on FB BTW, pop primotipo.com into the same search function. 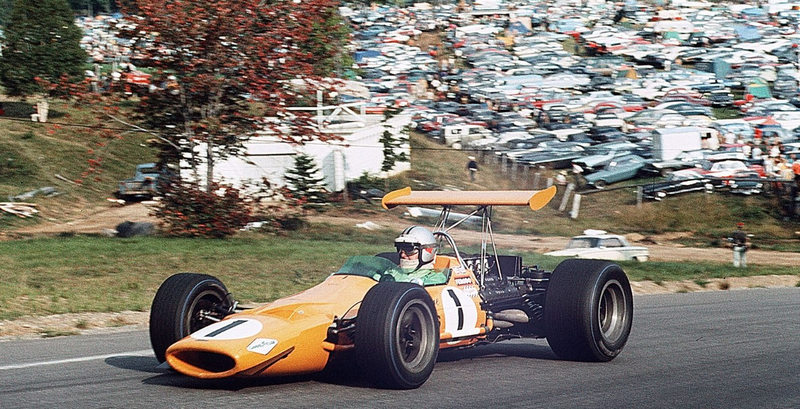 Bruce McLaren Motor Racing ‘broke through’ in the 1967 CanAm Series, Bruce and Denny crushed the opposition with the fabulous M6A Chev, a joint Bruce and Robin Herd design collaboration. Modern marketing started in the US. 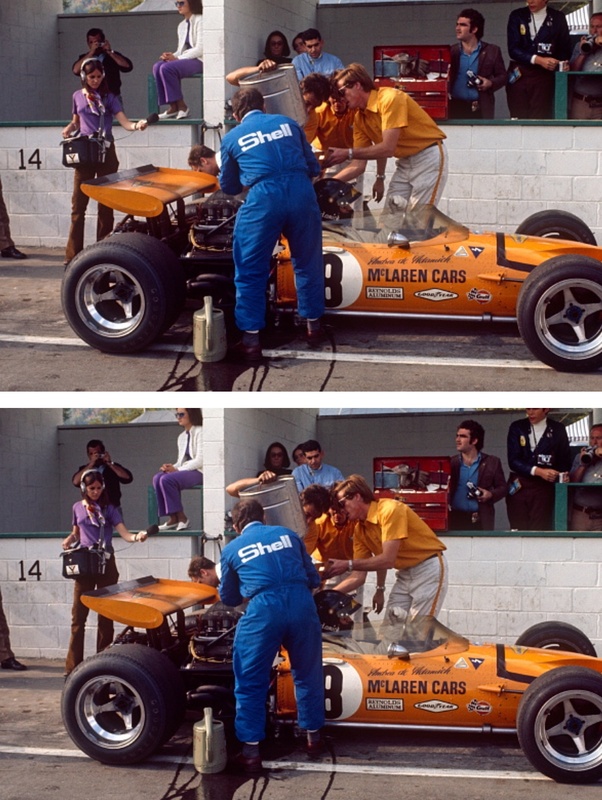 In trying to create ‘cut thru’ or ‘pop’ on then new colour telly the McLaren hierarchy, Teddy Mayer is credited for choosing the distinctive shade which defined the marque until the Yardley McLaren era of 1972. 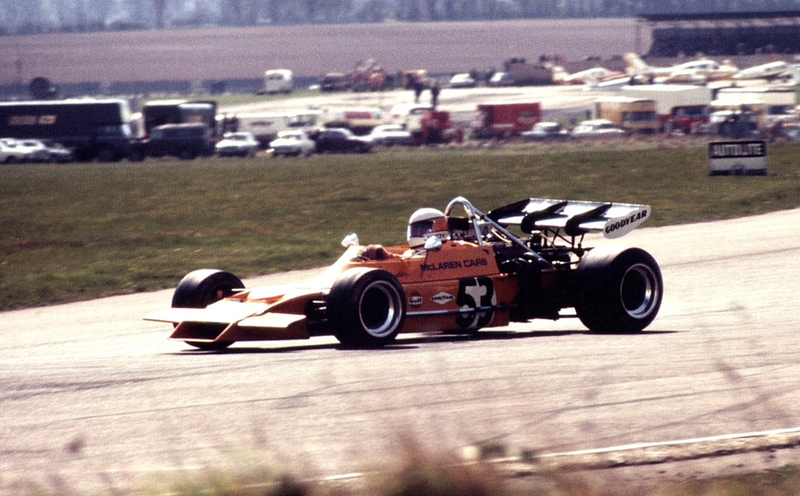 The M6A gave its sponsors a ‘fair crack of the whip’, the ’67 colour stuck, being adopted on the factory CanAm, F1,2,5000 and Indycars until the early seventies. ‘The photo is L>R Denny, Gary Knutson partially obscured, Teddy Mayer, Phil Kerr and Bruce. Wally is in the blue shirt and Jo Marquhart to the right in the suit with overcoat. They are supervising the ‘mule’ M6A/2 at Goodwood on 24 April 1968′. Gary Knutson and Colin Beanland built the engine at Al Bartz’ shop in Los Angeles, its losing oil which is the reason for the concerned faces. 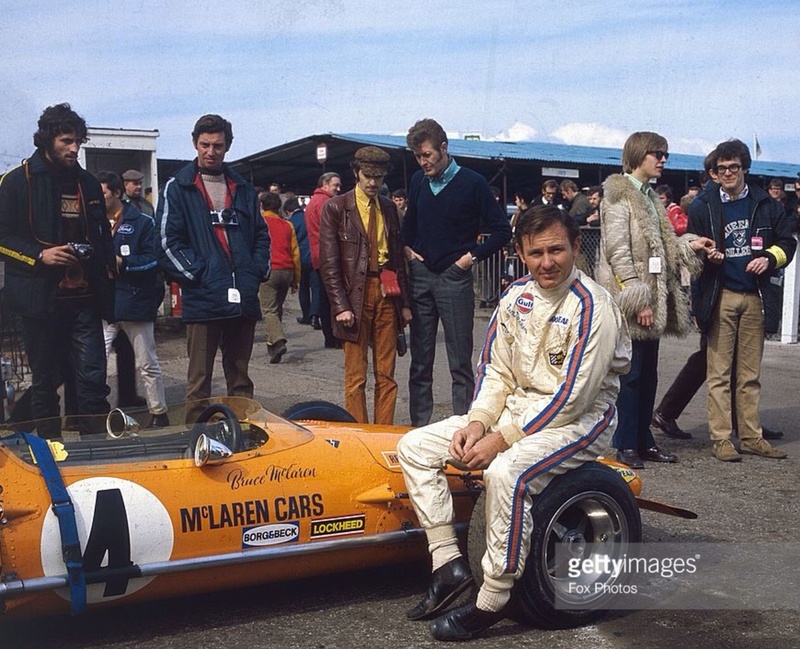 George Begg, McLaren confidante and Kiwi racer/car builder took the photo. The papaya M6 rather contrasts with the dull, rolling Sussex hills in the background and the flash pit-counter in the foreground! 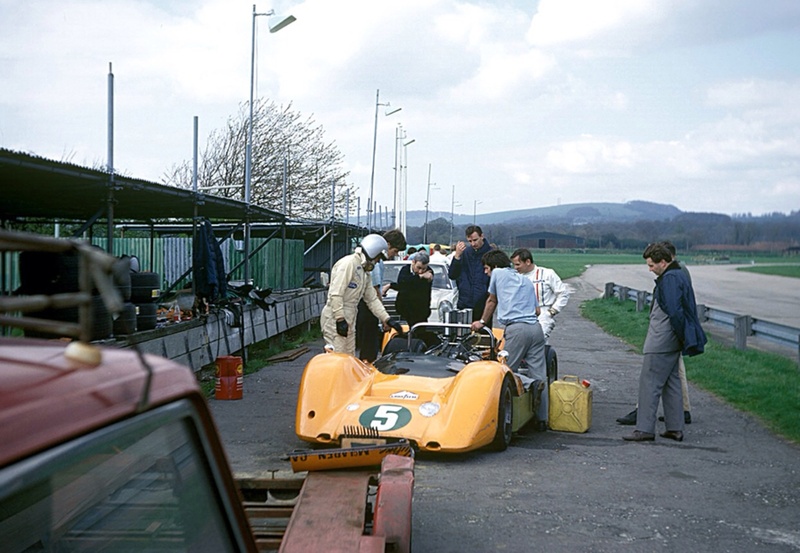 David Hodges records in his ‘Profile Publications’ article on the McLaren M8 that after this chassis was used in this series of tests, and later aerodynamic work it was returned to M6 specification and then sold. 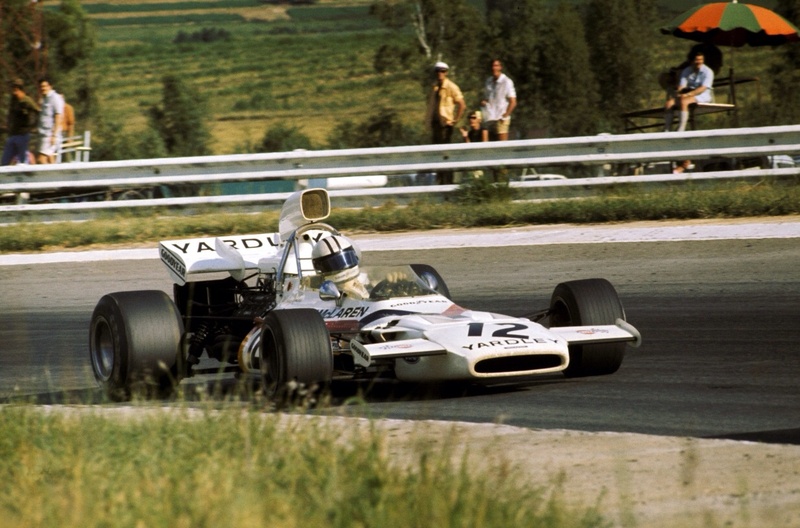 Until Yardley’s arrival on the side of the M19 a swag of sponsors logos sat comfortably on McLarens against the gorgeous, distinctive from afar, shade. 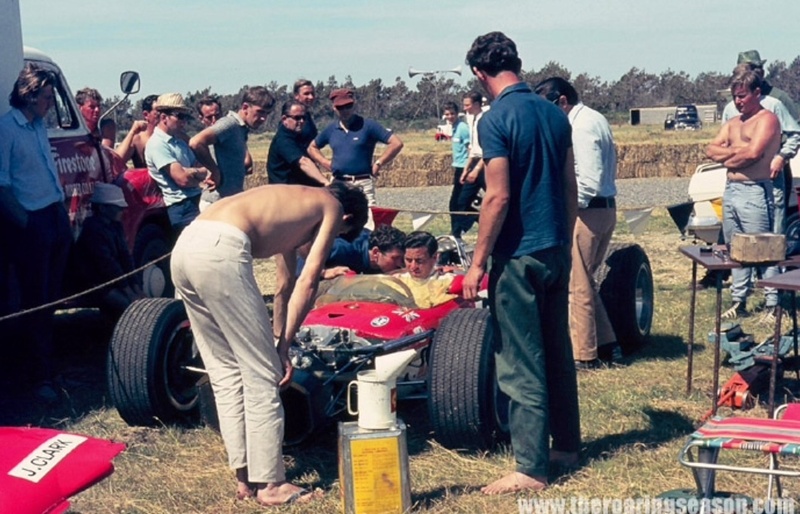 Lotus, the leader in so many aspects of racing showed the power of wholistic F1 branding of a racing car with the ‘fag packet’ Gold Leaf Team Lotus, Lotus 49’s which first appeared in the Wigram, New Zealand round of the Tasman Series 0n 20 January 1968. 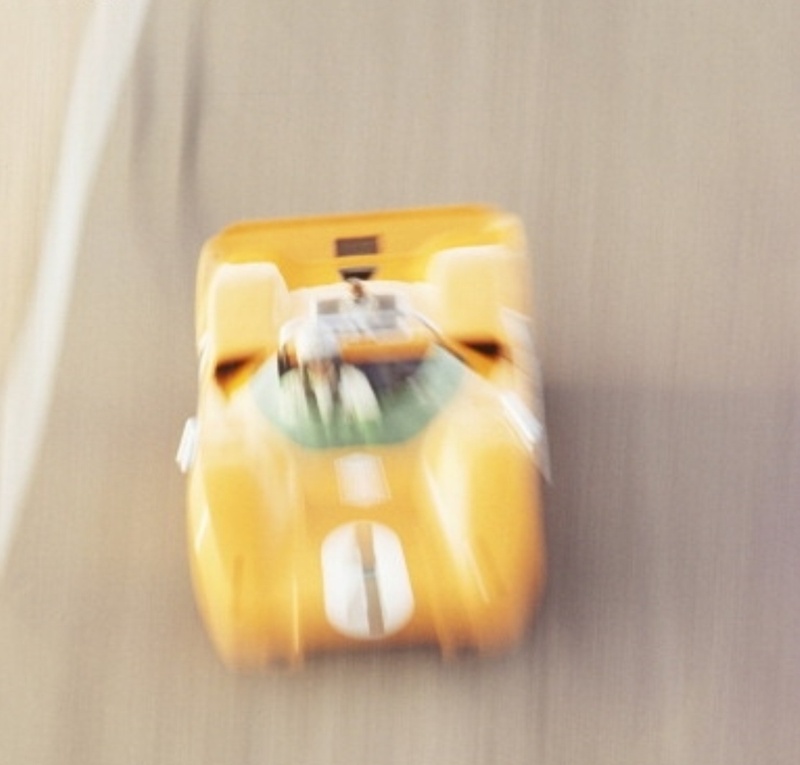 Jim Clark raced, just, in the early months of the year in the ‘modern advertising era’. Of course the Americans had refined the art (advertising on racing cars) for 50 years before the rest of the world caught up, or regressed depending upon your view of it. 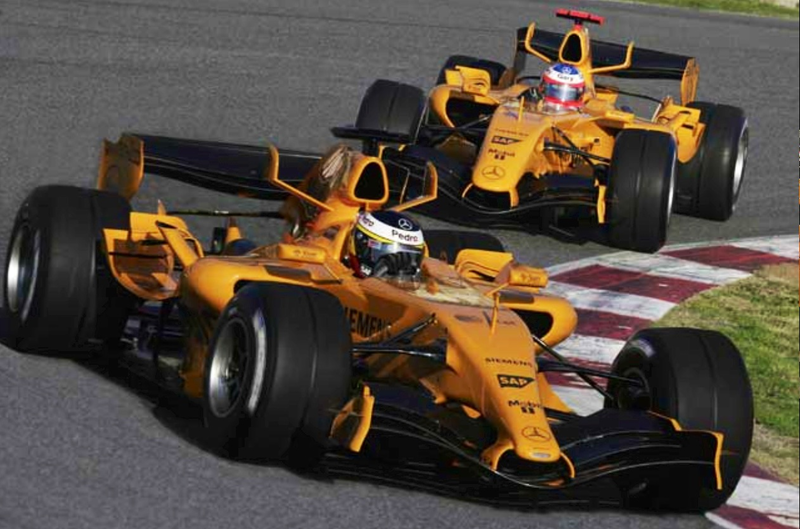 You cannot imagine Cadbury abandoning purple yet McLaren walked away from a signature colour which defined their cars in a most distinctive way. I’m not suggesting Bruce and the boys had as much brand equity in papaya as Cadbury in purple but you get my drift. Ferrari of course are the prime example of a marque who ‘own red’. 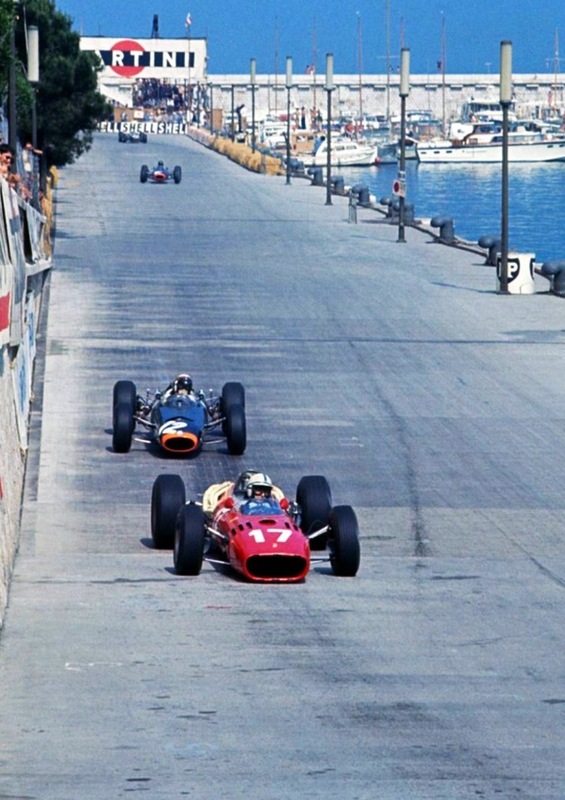 Their sponsors have always obtained the coverage sought against a red background rather than Ferrari adopting the ‘packaging’ of their corporate partner of the season or decade!